1098R gets more power and less weight. More Ducati news from the Milan show includes the new 1098R – a tuned up 1098 with an 8 kg weight loss over the standard 1098 to boot. 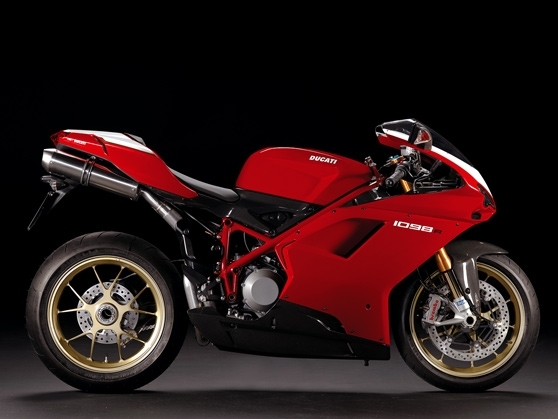 Ducati claim that this makes the 1098R the most powerful and lightest twin ever built by them. Max claimed power is 180 hp, with a 100 ft.lb of torque, although it does come with a race kit (pipes and chip) that should boost power by 8 hp. Of course, that kit is for track use only, with Ducati leading by example by proclaiming that the 1098R will be competing in World Superbike in 2008. No word on price or Canadian availability just yet.